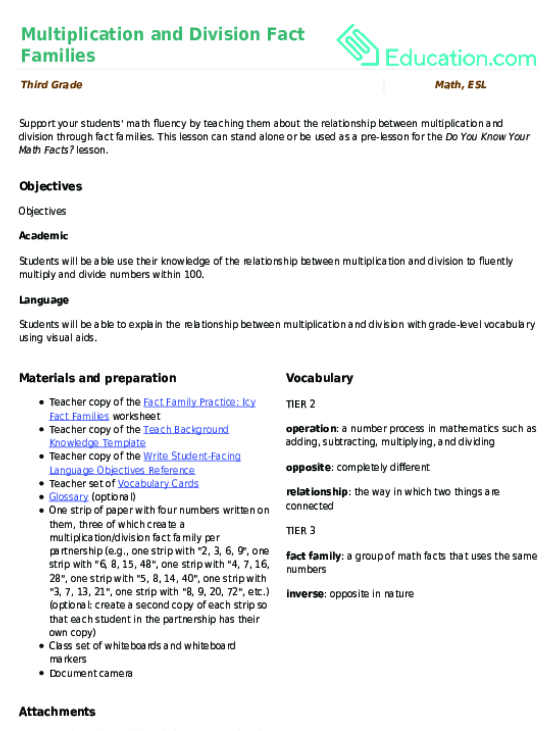 Use this glossary with the EL Support Lesson: Multiplication and Division Fact Families. 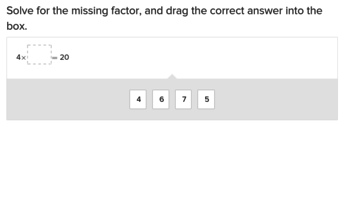 Support your students' math fluency by teaching them about the relationship between multiplication and division through fact families. 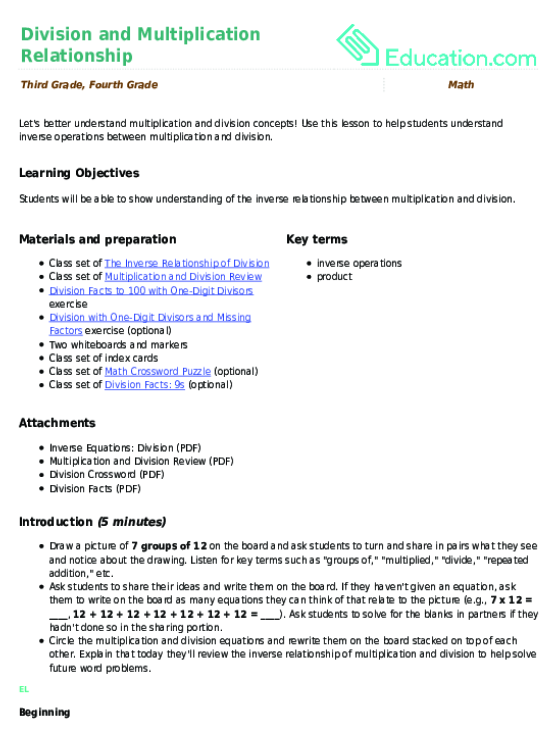 Third graders are learning all about about multiplication and division fact families, and this transporation-themed worksheet gives them lots of practice. 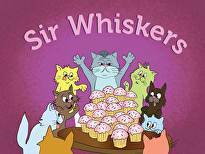 Use these vocabulary cards with the EL Support Lesson Plan: Details of Division.